The Cocktail hour has been a cherished tradition of the American South, a relaxing way to wind down after a long day at work, with good friends and family while enjoying life’s more simple pleasures, in preparation, for what another day may bring. Though many great cocktails have their origins in the South, here are 5 classic Southern cocktails and their interesting history. Named the official drink of the Kentucky Derby in 1938, it is fair to say, that the race which is held on the first Saturday in May, would simply not be complete without it. Today Kentucky Derby serves more than 120,000 juleps over the two-day event. It's widely believed that the name of the drink comes from the Persian word gulab and the Arabic word julab, which referred to a drink made of water and rose petals. The beverage was thought to possess medicinal powers and was prescribed to soothe aching stomachs. When the julab was introduced to the Mediterranean region, the rose petals were replaced with mint, a plant indigenous to the area. The American version of the drink added local whiskey to the recipe. One of the first references to the mint julep can be found in John Davis’s 1803 book 'Travels of Four years and a Half in the United States of America', where the drink was popular among farmers rising at dawn on their farms in the eastern and southeastern United States. 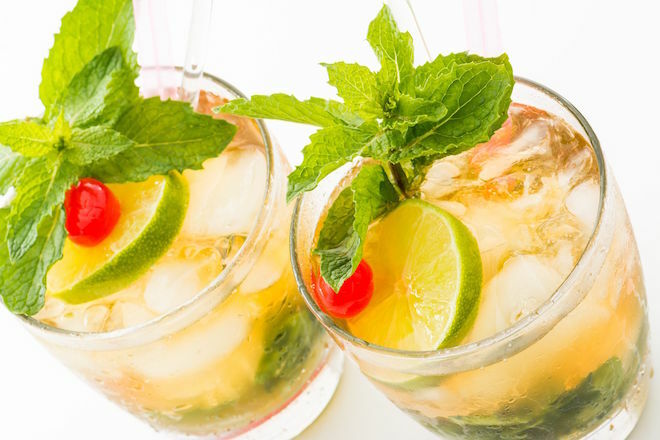 Through the years, the drink started showing up at regional horse races, where the mint julep made the transition from a morning drink to a 'sipping' cocktail. A classic mint julep contains fresh mint, bourbon and sugar. Much like the mint julep, this drink is popular for any daytime soiree in the South, where it is typically served in a sterling silver punch bowl. It's also a favorite during the fall holidays or for Christmas. Its origins date back several centuries. 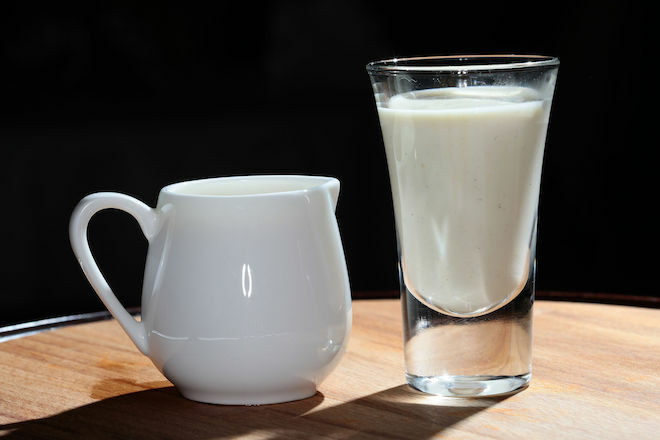 According to David Wondrich, a cocktail historian, the drink may have origins in a medieval Irish drink called scáiltín, a sweetened, spiced blend of whiskey, hot milk and butter. 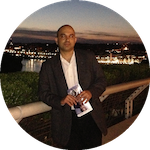 The punch also has similarities to two other historic curdled-milk beverages: syllabub, which combines milk with wine and lemon juice, and posset, made from hot milk, spices and liquor. Possets were known to have been used as remedies for colds. Possibly the most famous recipe for this cocktail is Benjamin Franklin's from 1763, although the oldest-known recipe is in a 1711 manuscript cookbook by Mary Rockett. A Milk Punch contains lemon, brandy, sugar, nutmeg, whole milk and water. Bourbon or dark rum can also be used instead of brandy. Additionally vanilla or vanilla extract, can also be added. 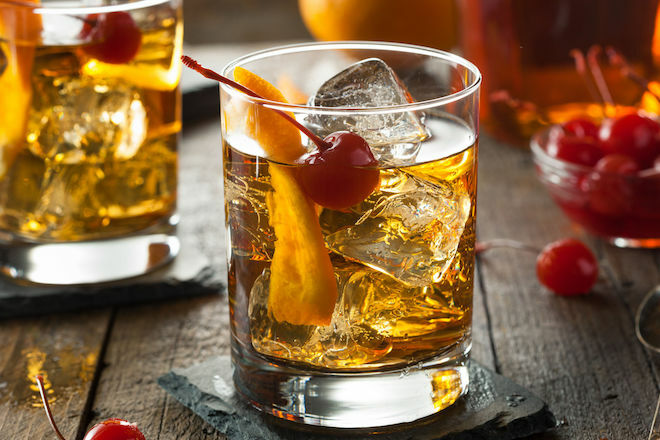 For most people, the old-fashioned is the bar standard but during the early 1800s, this combination was simply known as the first cocktail. It follows the classic cocktail formula as laid down in the 1806 edition of a newspaper called 'The Balance and Columbian Repository'—spirit, a bit of sugar, water and bitters. Though the origin of this drink is largely debatable, one of the stories suggests that the first use of the name 'Old Fashioned' for a Bourbon whiskey cocktail was said to have been at the Pendennis Club, a gentleman's club founded in 1881 in Louisville, Kentucky. 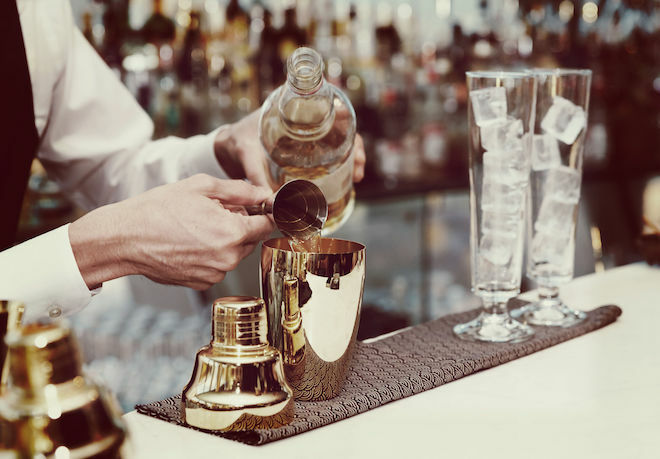 The recipe was said to have been invented by a bartender at that club in honor of Colonel James E. Pepper, a prominent bourbon distiller, who brought it to the Waldorf-Astoria Hotel bar in New York City. 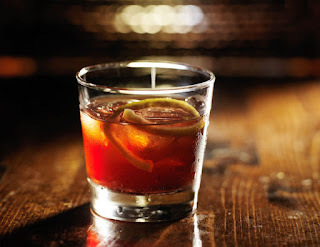 In 2015 the city of Louisville named the Old Fashioned as its official cocktail. Each year, during the first two weeks of June, Louisville celebrates 'Old Fashioned Fortnight' with bourbon events, cocktail specials and National Bourbon Day which is celebrated June 14. The Old Fashioned contains bourbon or rye whiskey, sugar or simple syrup, Angostura bitters, and an orange peel for garnish. Also called the New Orleans Fizz, it has been a favorite of socialites since the late 1800s, when it was developed by Henry C. Ramos a New Orleans bar owner in 1888. The key to its frothy head is heavy shaking, and its popularity grew due to its theatrical production as Ramos is said to have hired eight or nine attractive men called 'shaker boys' who were tasked solely with shaking for a bit and then passing the drink down to the next shaker who would do the same. 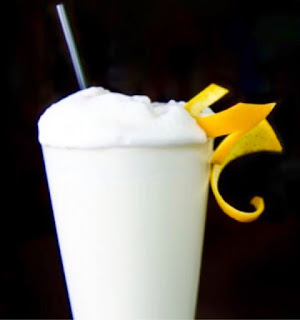 Ramos Gin Fizz contains gin, fresh lemon juice, egg white, sugar, orange flower or rose water, a tablespoon of half-and half, club soda, few ice cubes, and orange peel for garnish. This is a true New Orleans insider's drink which in 2008 has been named as the official drink of New Orleans. The history of the drink dates back to early 1800's and is associated to Antoine Amadie Peychaud, the founding founder of Peychaud's bitters who was born in Haiti and had a drugstore on Royal Street in New Orleans, called Pharmacie Peychaud. He served a beverage with his bitters as a remedy for stomach aches. Down the street from Peychaud was the Sazerac Coffee House, a bar which promoted the drink but added French cognac to it. In 1873, the recipe for the Sazerac cocktail was altered to replace the French cognac with American rye whiskey after an insect epidemic called phylloxera destroyed many French vineyards. A Sazerac contains Peychaud's bitters, rye whiskey or bourbon, teaspoon of Herbsaint an anise-flavored liquor, sugar and lemon peel.